The east side of Singapore has always been known as a food haven. 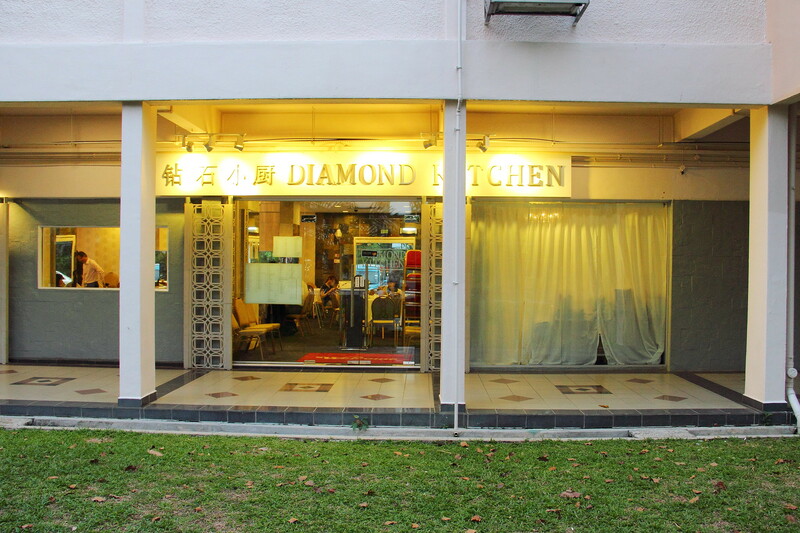 The throne has been further crowned with sparkling diamonds in Diamond Kitchen (钻石小厨). This gem at Laguna Park Condominium in Marine Parade offers down to earth comforting classic Chinese classics at affordable zi char prices. I have already heard so much about this place from fellow foodies before the media got wind of this hidden gem. Within weeks, this place is overwhelmed with diners and during my visit I was told that they have to turn away 30 tables over the weekend and they were fully booked until April. The Superior Stock Clam Bee Hoon ($12/$18/$24) is a must try here. 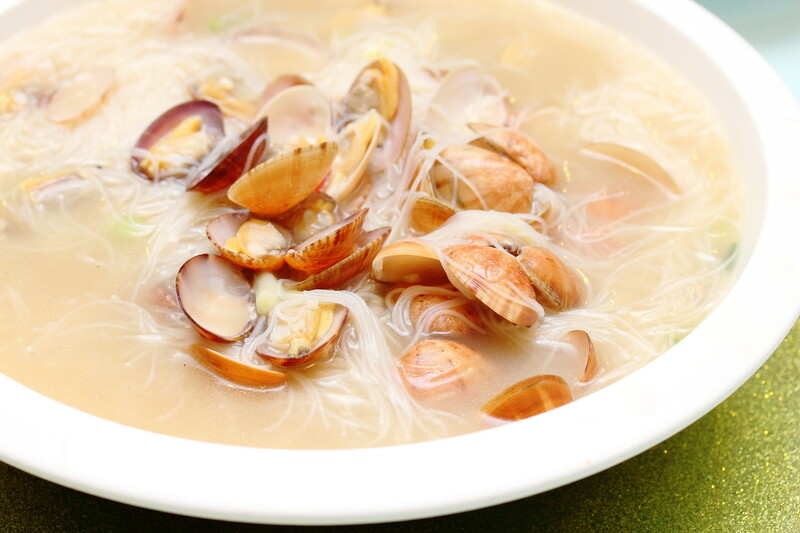 The delicate rice noodle is cooked in a thick superior stock that is very robust and packed with fresh clams sweetness. This is what I have been wanting to come here to try after seeing all the posting on social media. Diamond Kitchen's own interpretation of the drunken prawns comes in a bamboo basket lay with hot stones. Live tiger prawns are place on top of the hot stones and then a herbal stock laced with Chinese wine, wolfberries and dang gui is poured over the prawns. 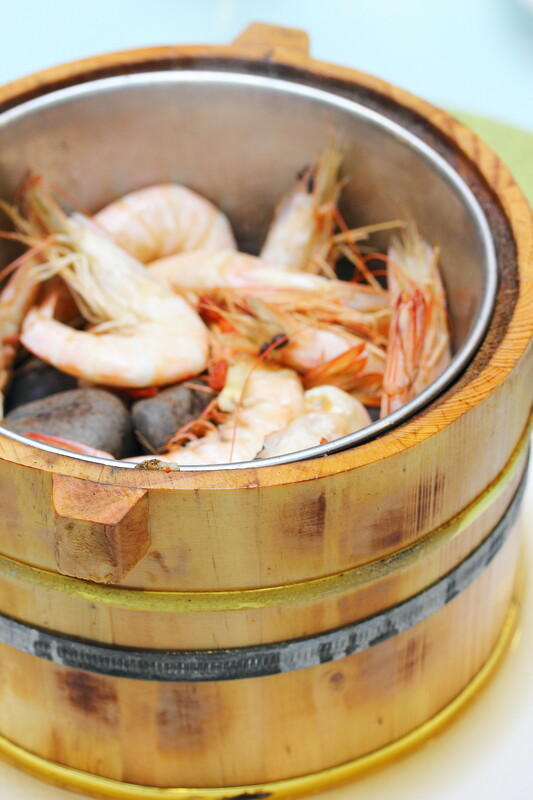 After that the lid is placed over the bamboo basket to allow the prawns to have a sauna bath from the steam inside. The Sauna Prawns ($24/$36/$48) is cooked as it makes its way from the kitchen to the table, approximately 12 seconds. This ingenious way of steam bathing result in an extremely tender prawns perfumed with a subtle herbal fragrance and taste. Champagne Pork Ribs ($12/$18/$24) but where is the ribs? The chef has removed the bones for easy consumption. 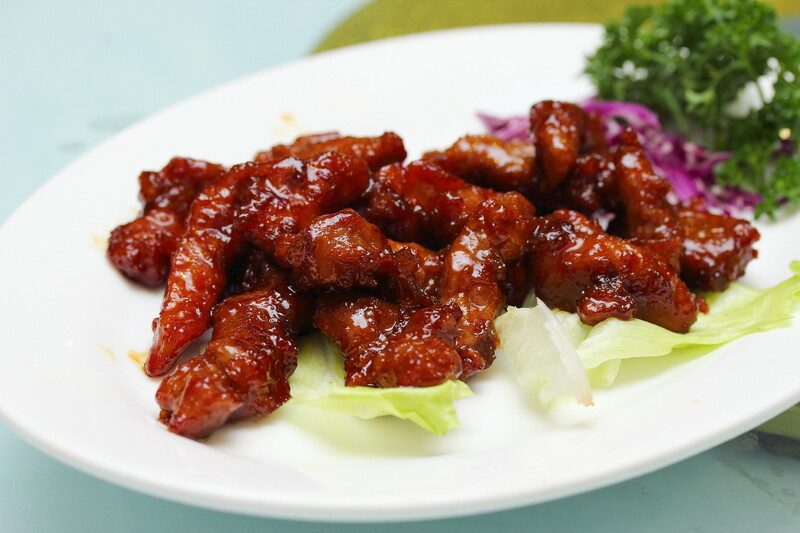 Marinated overnight in a special sauce, the flavours were fully imparted to the super tender pork. This definitely will be enjoyed by both adult and children. 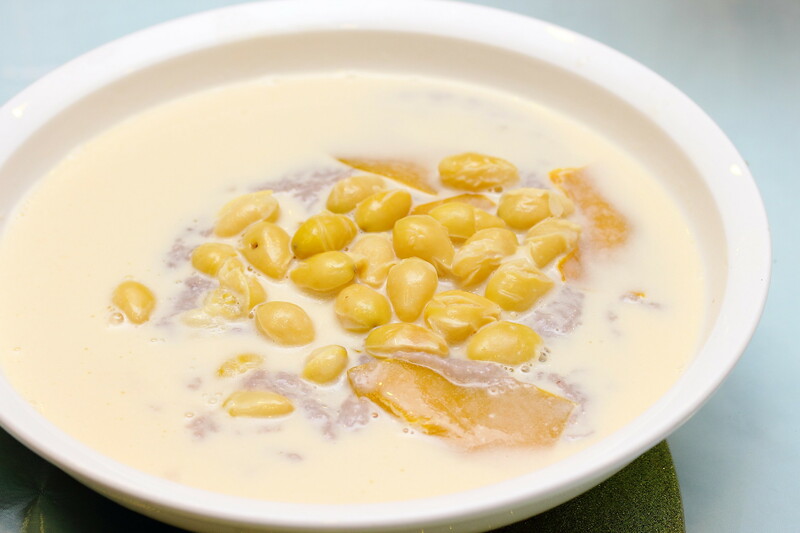 The Pumpkin Beancurd ($12/$18/$24) is cook in a rich and sweet pumpkin puree that complemented the soft silky beancurd excellently. These gold bars are freshly made by Chef Lau in the restaurant daily. Usually salted egg dishes are on the wet side but the execution at Diamond Kitchen has a nice crispy texture on the exterior. 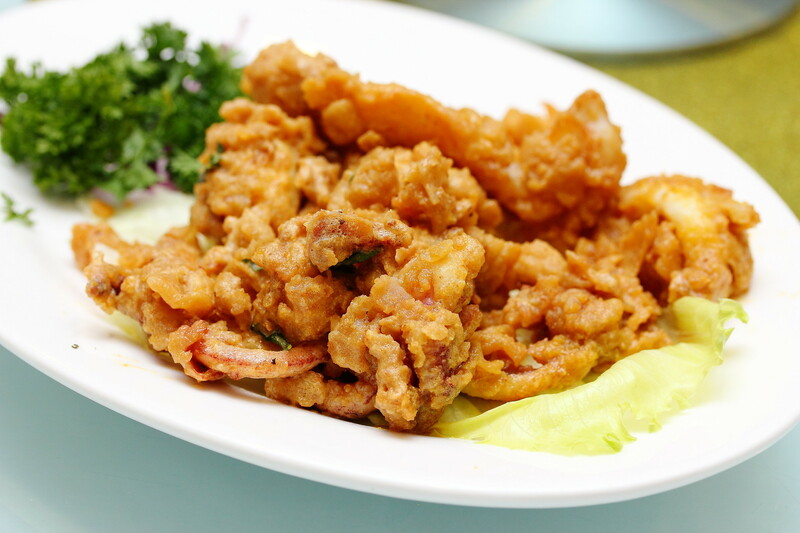 The Salted Egg Sotong ($12/$18/$24) is some what similar to having fried calamari flavoured with salted egg yolk that comes with a hint of curry spiciness. 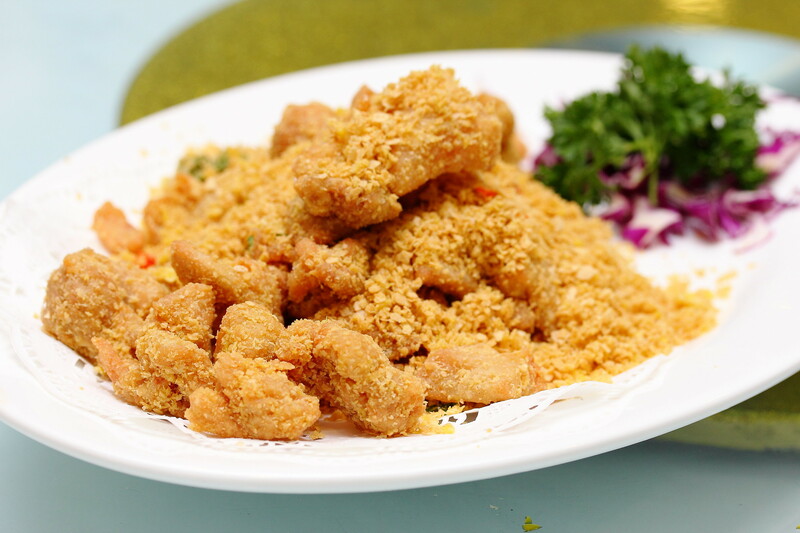 One popular dish Singaporean likes to order at zi char stall is the cereal prawn. For a change, we tried the Golden Cereal Chicken ($12/$18/$24) at Diamond Kitchen instead. The first thing I noticed is the cereal used is finer than those I had elsewhere. This gives it an even more enjoyable texture together with the succulent chicken. It was shared that every Chinese chef has a special own recipe for their Gan Xiang sauce. Chef de Cuisine Kevin Lau of Diamond Kitchen has more than 25 years of experience under his belt has introduced 2 dishes on the menu using his specialty sauce that is prepared by dry frying spicy dried shrimps, curry powder, lemongrass, dried chilli, fermented soy bean paste with other secret ingredients. 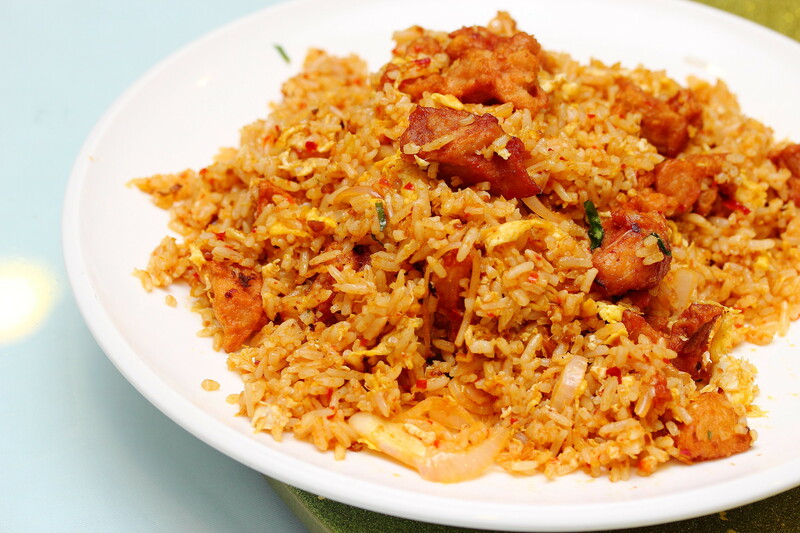 A rather similar take of the sambal fried rice is the Gan Xiang Fried Rice ($8/$12/$24). If you can take spicy stuff, this will be in for you. Each mouthful is filled with aroma samba dancing on the palate. Crab lover especially black pepper crab lover must try Diamond Kitchen's Gan Xiang Crab (market price). 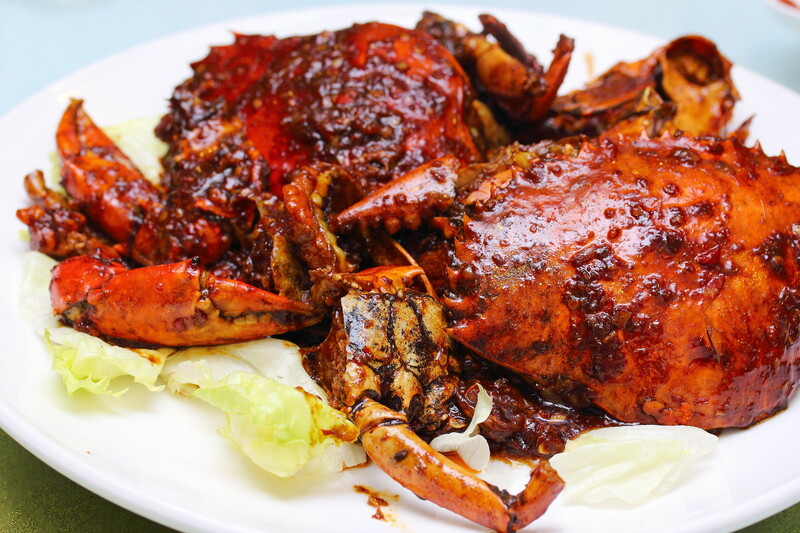 This version of cooking the crab is quite similar to the black pepper crab but the spicy aroma from the gan xiang sauce has given it a more wholesome robustness with a delectable spicy, sweet contrast between the sauce and sweet flesh of the crab. 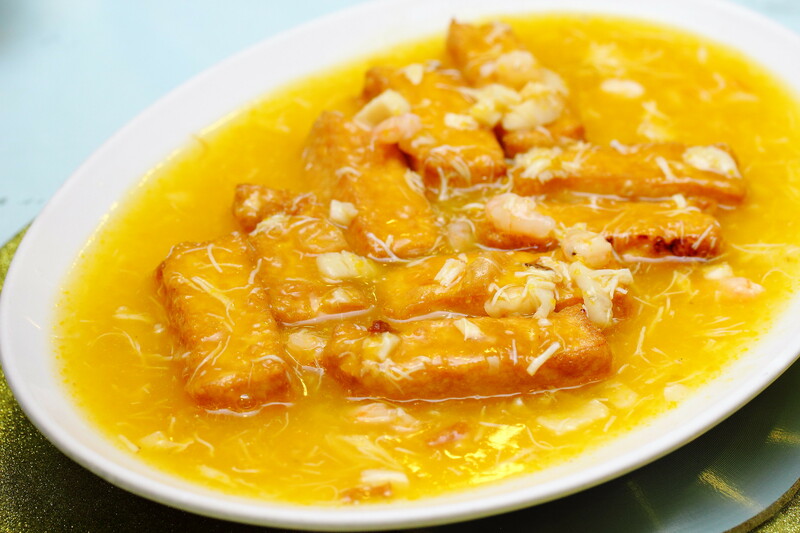 Conclude the dinner with a popular and timeless Chinese dessert Pumpkin & Gingko Yam Paste ($12/$24). The yam paste is as good as many restaurants and I like the generous servicing of gingko nuts. A lot of places I can only find a couple of them in it. I have really enjoyed the food at Diamond Kitchen and already planning to celebrate the upcoming Mother's Day here. Nestled within Marine Parade estate with its neighbourly charm, the food and ambience is very heartfelt, unpretentious and welcoming. The Clam Bee Hoon looks good! I could eat it all day!